If you're a man in the U.S., you have a 12 percent chance of suffering from depression at some point in life. 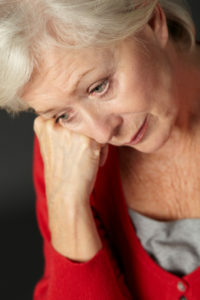 The key is to recognize common depression symptoms in men. The dominant male gender role ideologies of strength and toughness may make it more difficult for men with depression to get understanding, acceptance, and effective treatment for their illness, according to author Viren Swami. 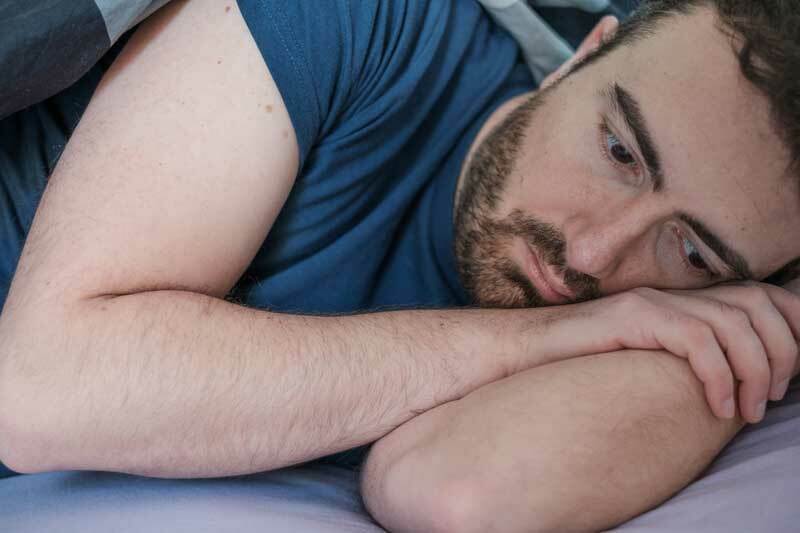 Depression symptoms in men aren’t always obvious, but they’re there. According to recent statistics, one out of 10 men in the United States will suffer from major depression at some point during their life. The problem isn’t just with loved ones who don’t pick up on symptoms; most men who are affected won’t recognize what’s happening. Consider this scenario: Jack’s been feeling really down the last two weeks, waking up in the morning with a flat, heavy feeling that sticks around all day. He’s not enjoying things the way he normally would. Nothing’s pleasurable. Plus, it’s hard to concentrate on anything. His energy is low, but even though he feels tired, he can’t sleep at night. He feels worthless and discouraged. His family says he hasn’t been himself and has been distant. Jack doesn’t feel like talking. What do you think after reading this story? Do you think Jack might have a mental health disorder like depression? Would you recommend he seek professional help? What if you had read the exact same story, but instead of being about Jack, a man, it was about Kate, a woman? Do you think this would change whether you would classify her as having a mental disorder, or influence your recommendation about seeking treatment? Although the short story above describes classic symptoms of major depression, chances are slim you would have correctly identified Jack as having depression symptoms. A study out of the University of Westminster, UK, presented just such a story to 1,218 British adults. The researcher, Viren Swami out of the University’s Department of Psychology, designed the study to examine how gender differences affect who we encourage to seek help. The story described one of two fictitious subjects, Kate or Jack, using non-clinical language to describe standard depression symptoms (major depression). The only difference was their suggested gender. All the study participants, but particularly the men, were significantly more likely to incorrectly assume that Jack wasn’t suffering from a mental health disorder. Both the male and female participants, on the other hand, were equally good at identifying Kate as suffering from a mental health disorder. Both men and women, but especially men, rated Kate’s case as significantly more distressing, difficult to treat, and deserving of sympathy than they did Jack’s case. The men and women were equally likely to recommend Jack seek treatment, but the men were more likely to recommend Kate seek treatment. One out of every 10 men in the United States will suffer from major depression symptoms at some point in their life. The problem is that most men won’t recognize what’s happening. Men are more likely than women to hide their feelings, which can mask depression or even cause it to show in different ways. Here are some symptoms of depression in men. The study also examined participants’ attitudes towards seeking profession help for mental health issues, their degree of skepticism towards psychiatry as a legitimate science, and their attitudes about science in general. Those participants with the most negative attitudes toward psychological help, psychiatry, and science were significantly more likely to rate Jack or Kate as being less distressed, to believe depression is difficult to treat, to be less sympathetic, and to be less likely to recommend help. Author Viren Swami believes the dominant male gender role ideologies of strength and toughness may make it more difficult for men with depression to get understanding, acceptance, and effective treatment for their illness. Raising awareness of mental health disorders in both men and women will allow for better recognition of depression symptoms in men and more encouragement for men to get the help they need and deserve. Only when men’s depression symptoms are recognized do they have the chance of beating depression, naturally or conventionally. If you are a man in the United States, you have a 12 percent chance of suffering from major depression at some point during the course of your life. Key to overcoming depression is recognizing you have it in the first place. And since depression can have any one of a multitude of underlying root causes, a treatment strategy must methodically walk through all the possible underlying causes and determine which ones apply to you. Learn more about recognizing depression symptoms as well as beating depression naturally by accessing our Depression Free Guide. Swami V. Mental Health Literacy of Depression: Gender Differences and Attitudinal Antecedents in a Representative British Sample. PLoS ONE, 2012; 7 (11): e49779. Originally published in 2012, this post is regularly updated by the editors of University Health News. beating depression, beating depression naturally, beating depression without drugs, best natural remedies for depression, depressed, depression, depression in men, depression naturally, depression symptoms, difficulty sleeping, for depression, health, health news, homocysteine, homocysteine levels, low testosterone, Low Testosterone and Depression, major depression, major depression symptoms, mental health, natural health, natural health advisory, natural remedies, natural remedies for, natural remedies for depression, overcoming depression, pain, remedies for depression, sad, signs of depression, signs of depression in men, sleep, strength, symptoms of depression, symptoms of depression in men, symptoms of major depression, testosterone, testosterone and depression, tired, university health news, without drugs.